Food Festival - Partnership again ... yum! Domovská stránka / Aktuality / Firemní aktualityFood Festival - Partnership again ... yum! 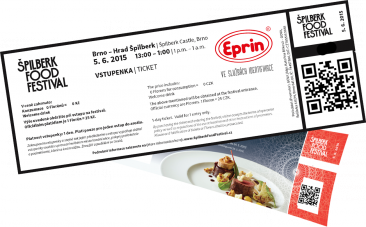 At the Brno Špilberk Castle will be held the fourth Food Festival. We began with a taste to ensure the system for ticket sales and their subsequent registration. Come to have fun, laugh and taste with great selection of dishes from many restaurants. We ensure the tickets by 2D bar codes, as this method has been verified in previous years. We are very happy that we got the confidence to implement the system and thanks to organizers for their trust. Do not hesitate for further information. Contact us HERE. And something more for our dear customers - We can arrange for you discounted tickets, call us!